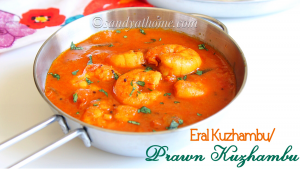 Prawn kuzhambu/ Royyala pulusu/ Eral kuzhambu is a delicious and very aromatic kuzhambu or gravy prepared by cooking shrimp in spicy tamarind mixture. 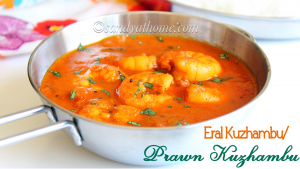 Prawn kuzhambu can be made in lot of methods enhancing its taste but this particular kuzhambu is a very simple and quick type of kuzhambu that requires no grinding of any special masala but still achieve deliciousness.This easy to make and yummy kuzhambu demands just basic ingredients with which we make regular kuzhambu hence it can be made easily even by beginners. 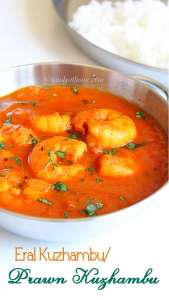 For the below recipe I used Fresh jumbo sized shrimp, you can use frozen shrimp too or small prawn but adding big variety shrimp makes it appealing and tastes good for kuzhambu varieties i feel, also i wanted the kuzhambu to be spicy so added extra chilli powder which can be altered accordingly. 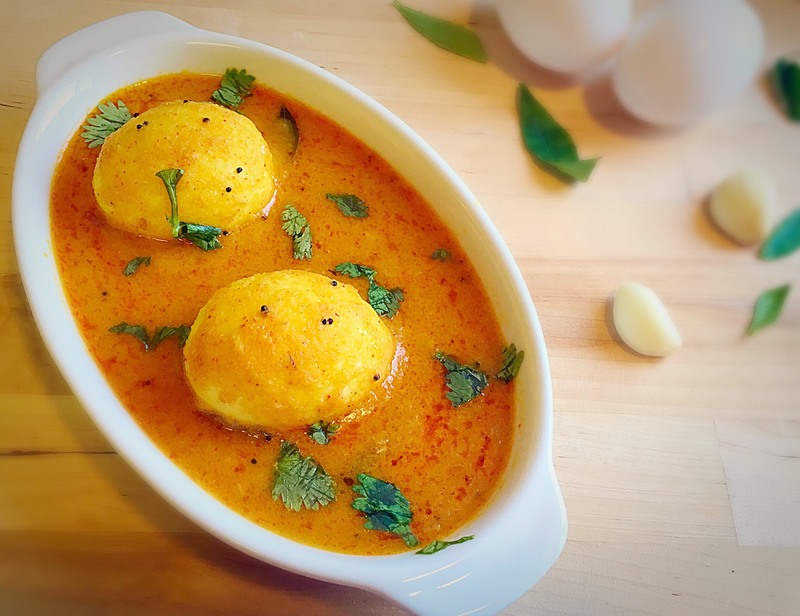 Okay so after a long pause a non veg dish in my blog, because I have been getting messages in my fb page and also through mail asking for non- veg recipes so here is one for all those of you! 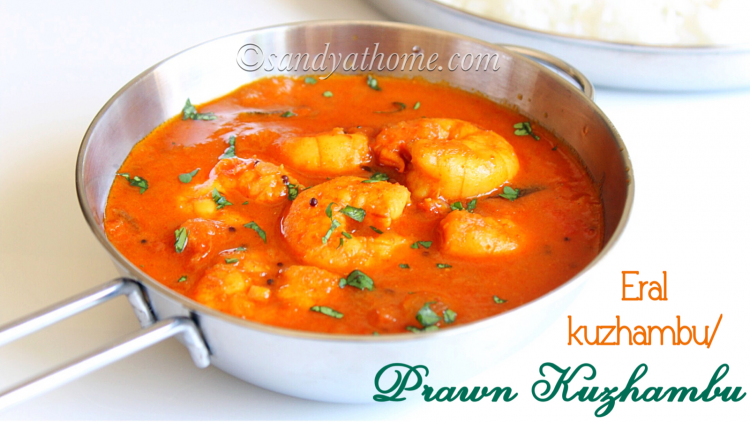 So this sunday make your meal a special and yummier one with this shrimp/prawn kuzhambu. So lets get to the making! 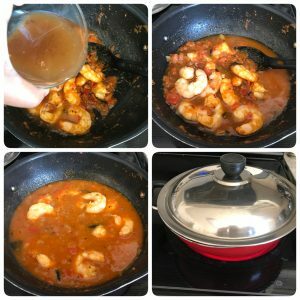 Wash, clean and devien prawn/shrimp. 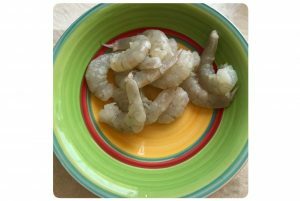 Add some salt and marinate it for 10 minutes. Soak the tamarind in water and extract the juice from it. Chop onion and tomatoes finely. Keep it aside. 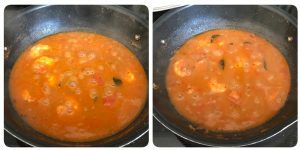 Now heat a pan/ kadai and add oil, mustard seeds and cumin seeds after it crackles add the chopped onion and curry leaves. Saute them till the onion become translucent. When the onions look sauteed add ginger garlic paste. Saute well till the raw flavor goes. 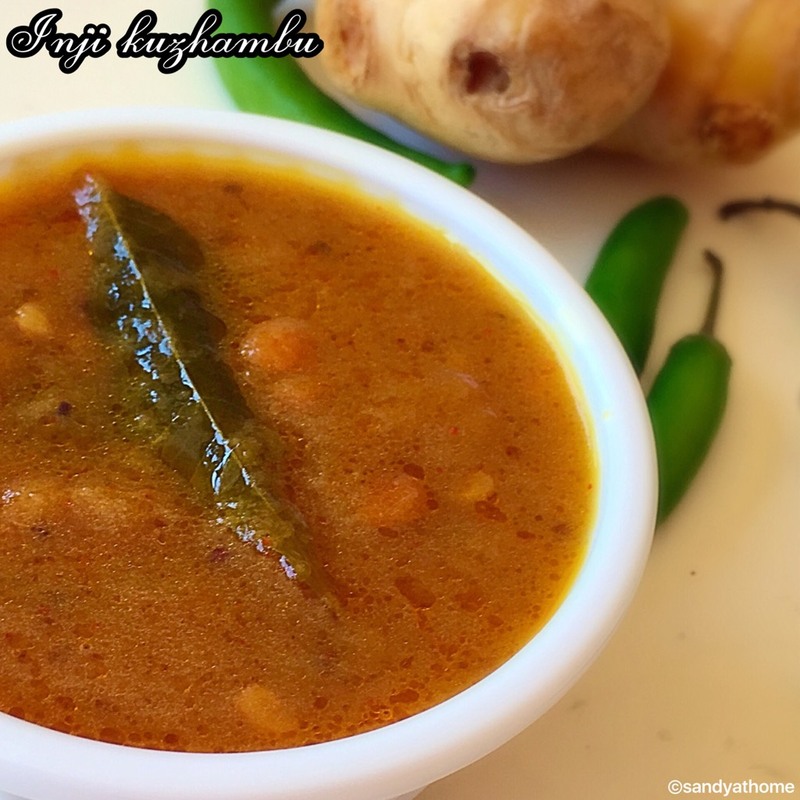 When the raw smell of ginger garlic paste has gone add chopped tomatoes, red chilli powder, turmeric powder, garam masala powder, coriander powder and salt. 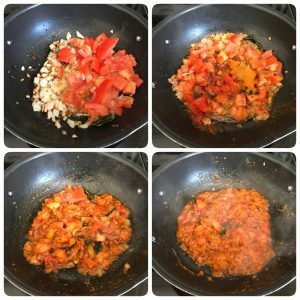 Mix well and allow the tomatoes to cook. 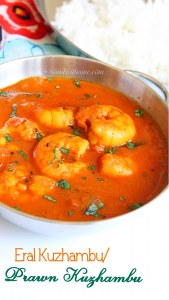 When the tomatoes look cooked and mushy add shrimp/ prawn and saute well for few seconds till shrimp coats well in masala. 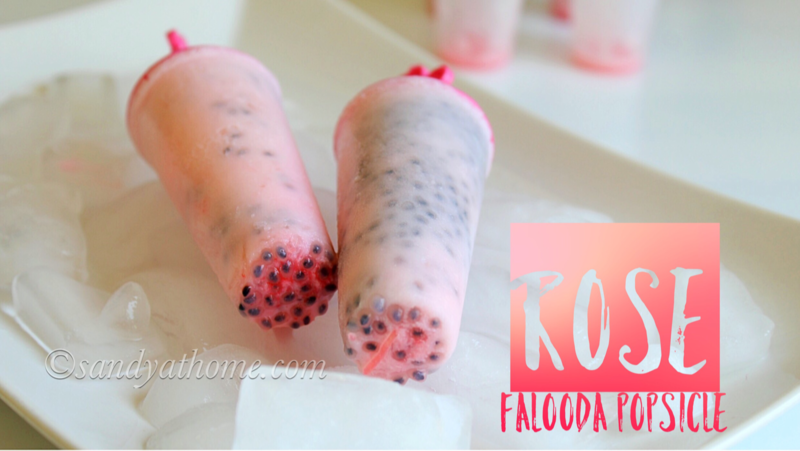 Now add tamarind extract to it and mix well. Allow it to cook with lid on in medium flame for 8 minutes. 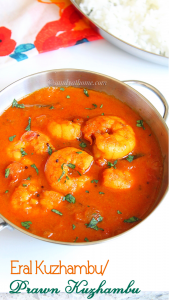 Do not cook more than the prescribed time as the prawn/shrimp will become rubbery. After 8 minutes put off the flame when u see the kuzhambu consistency. 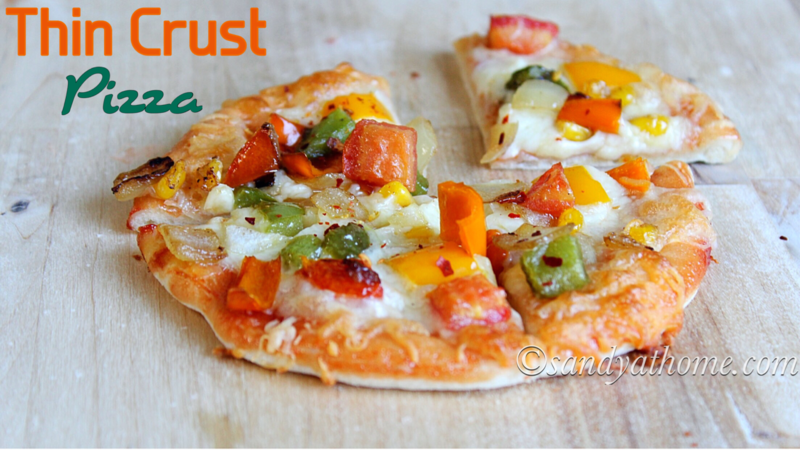 Garnish it with chopped cilantro and serve it hot with rice!